1898 – Sadie Tanner Mossell Alexander Born. Sadie Tanner Mossell Alexander was born on this date in 1898. She was very highly educated as a youth and lived with her Uncle, Lewis Baxter Moore, a Dean at Howard University. 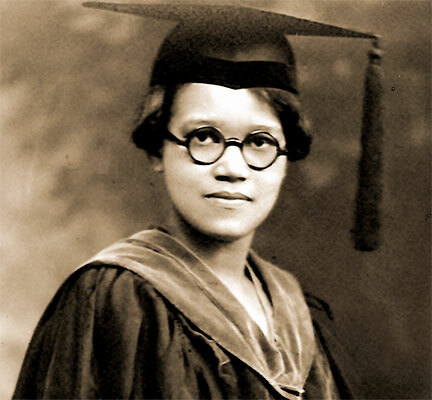 She would find great success in life, receiving the Francis Sergeant Pepper fellowship which allowed her to become the first Black woman to receive a Ph.D. in Economics in the United States, graduating in 1921 from the University of Pennsylvania. She was also the first woman to receive a law degree from the University of Pennsylvania, and to pass the Pennsylvania Bar in 1927. Later, she served on the Commission on Human Relations for the City of Philadelphia. She retired from practicing law in 1982. and died on November 1, 1989.